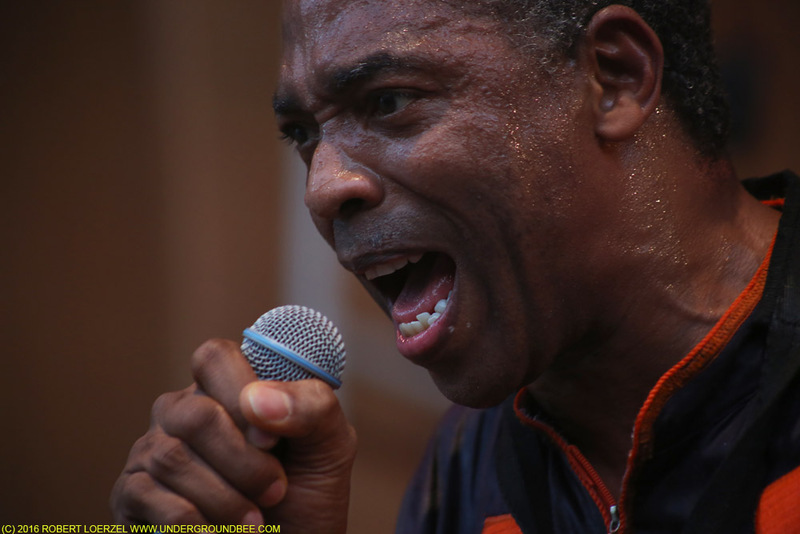 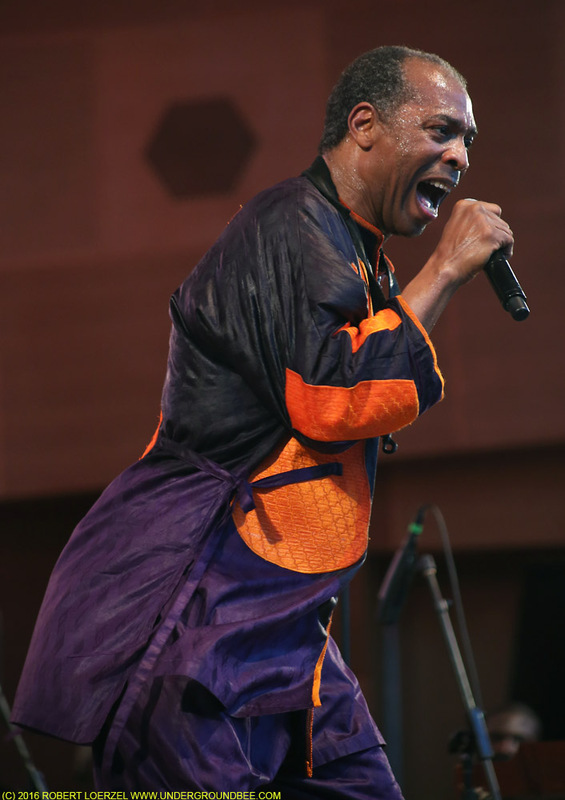 Femi Kuti‘s father, the legendary Nigerian bandleader Fela Kuti, created the extraordinary and exhilarating style of music called Afrobeat. 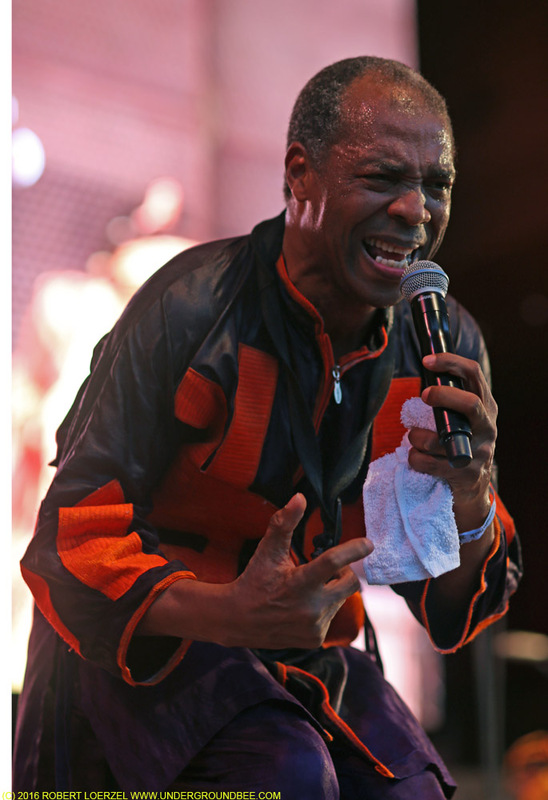 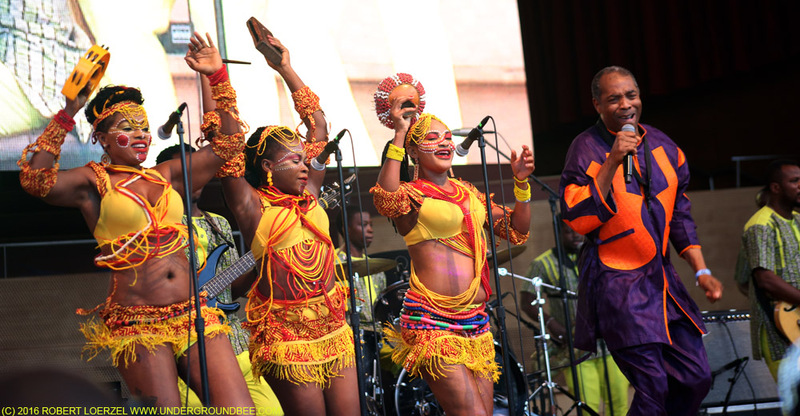 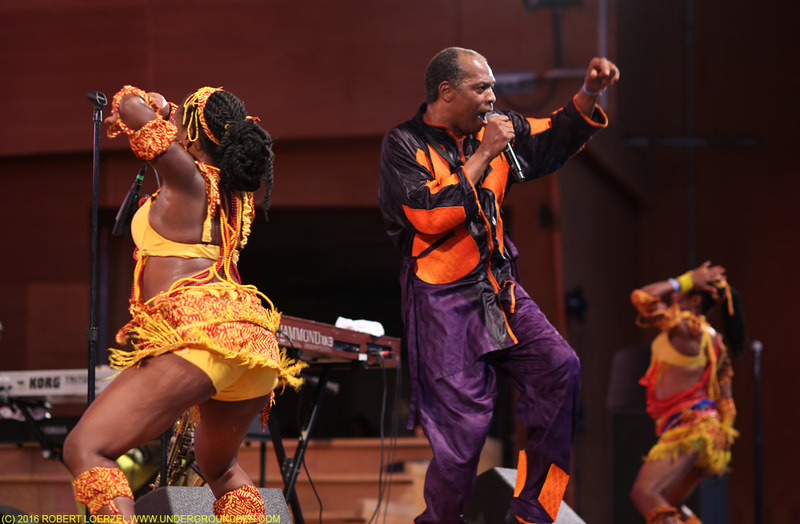 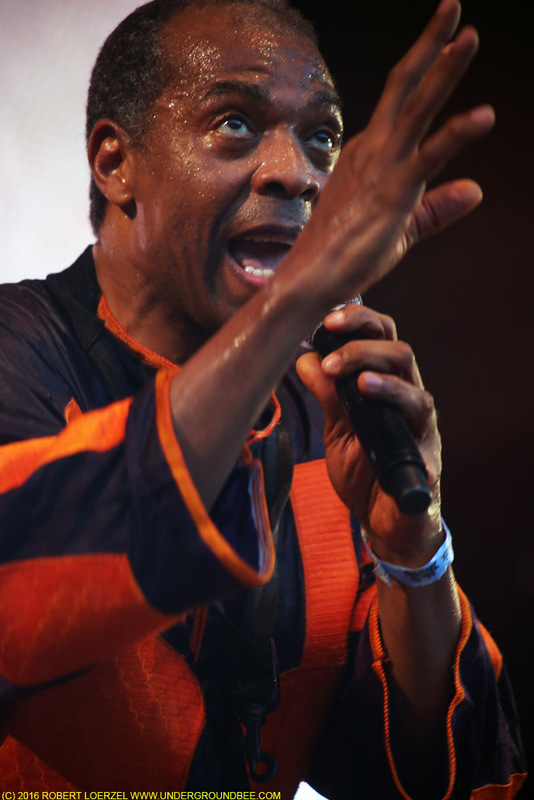 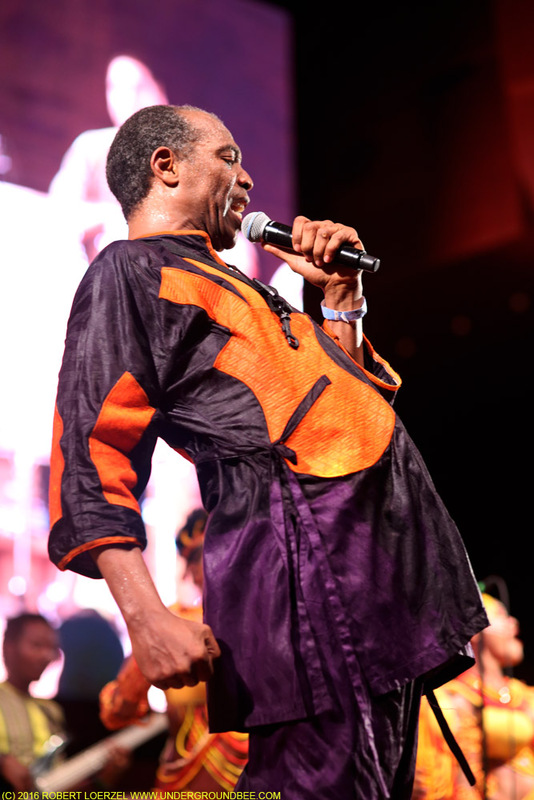 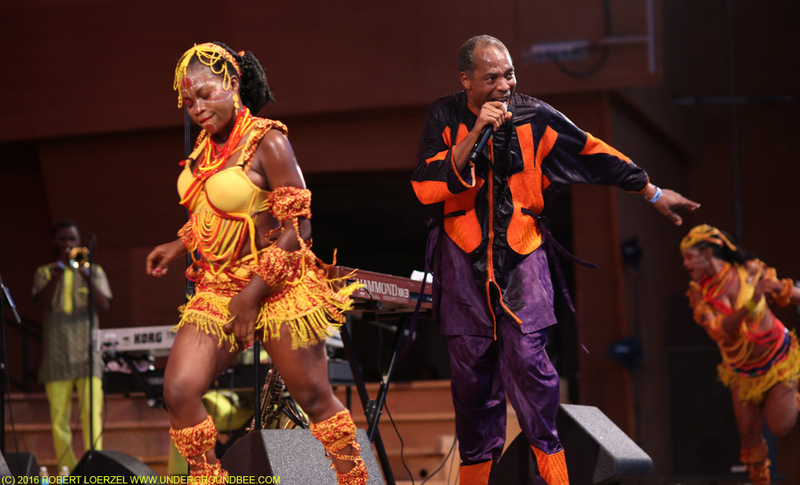 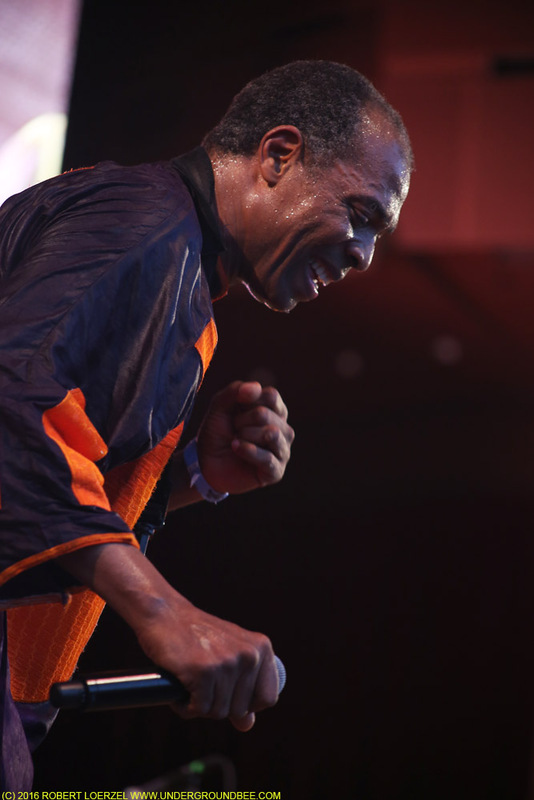 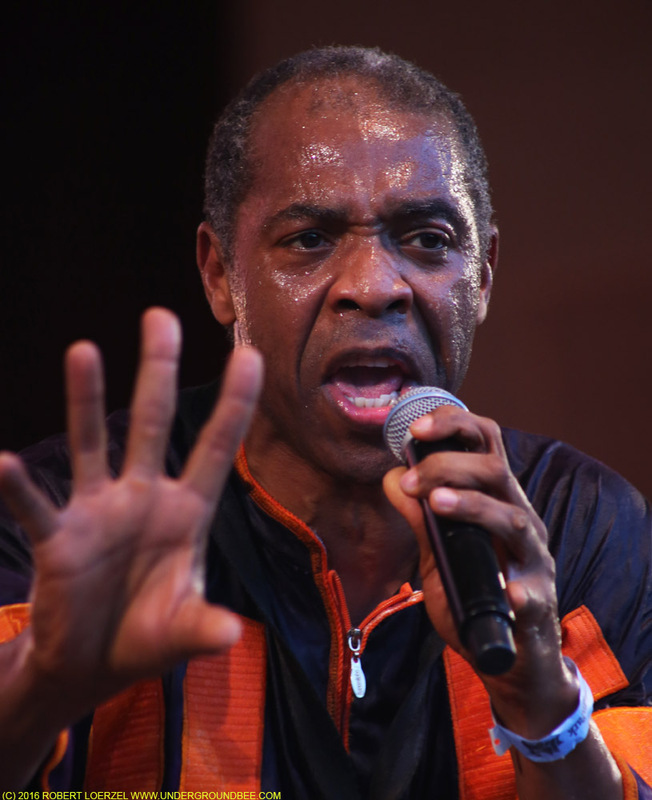 As Fela’s eldest son, Femi is carrying on the family tradition. 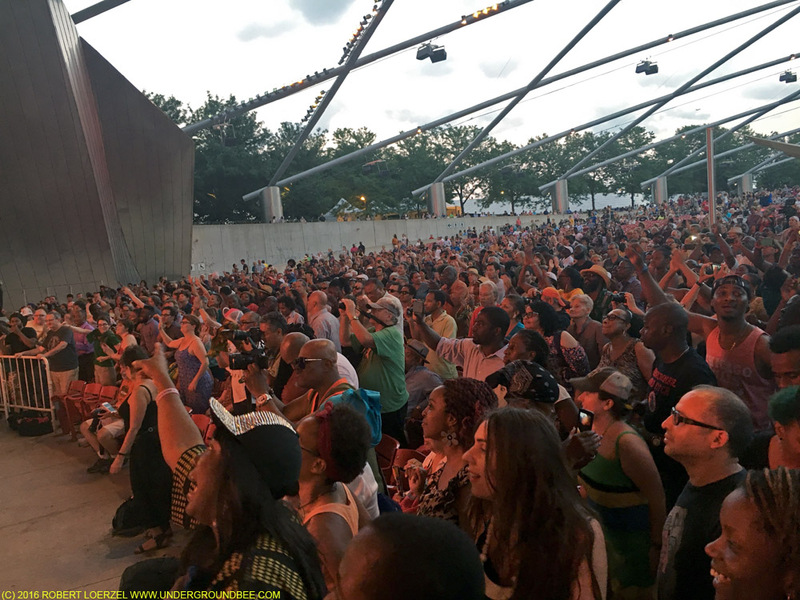 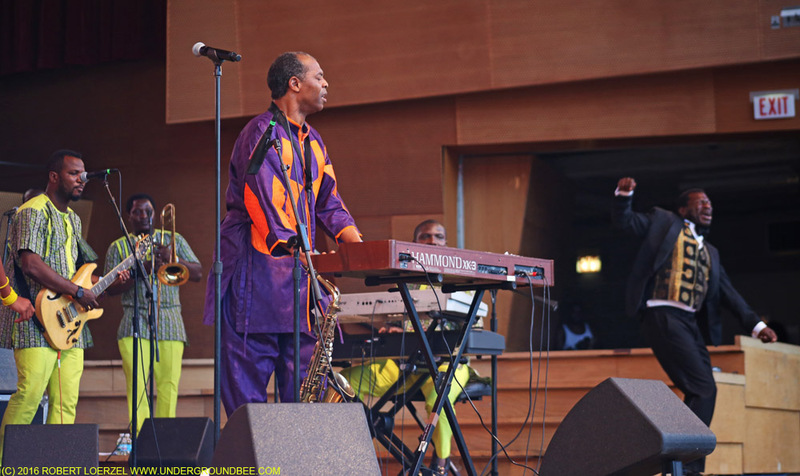 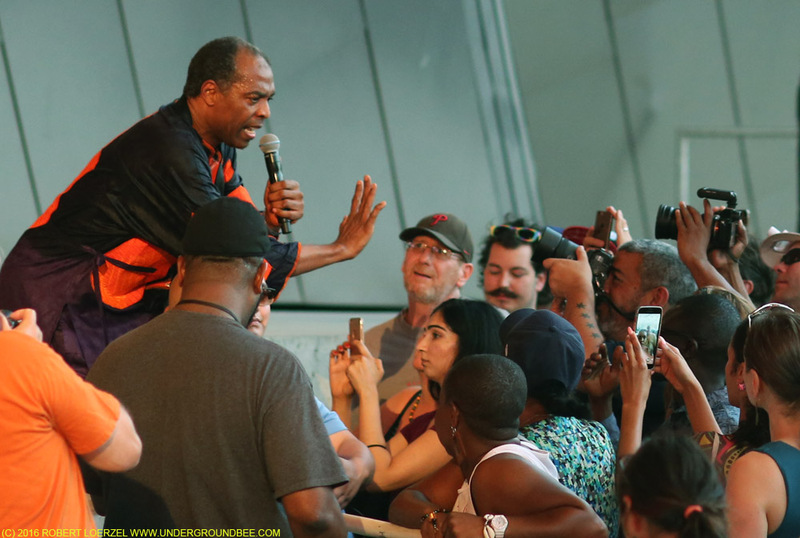 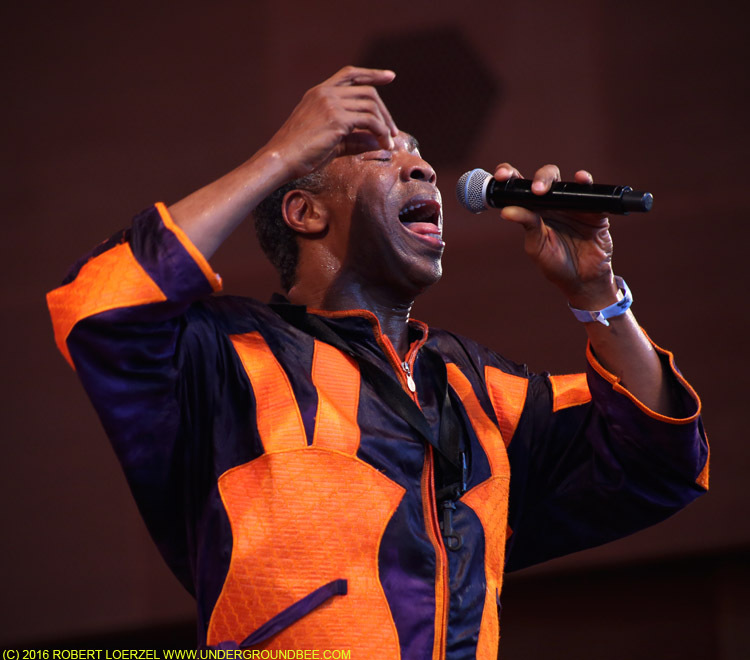 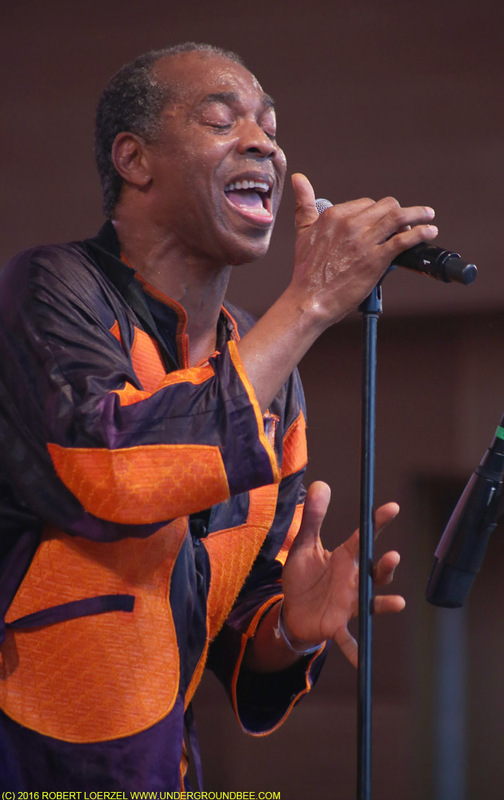 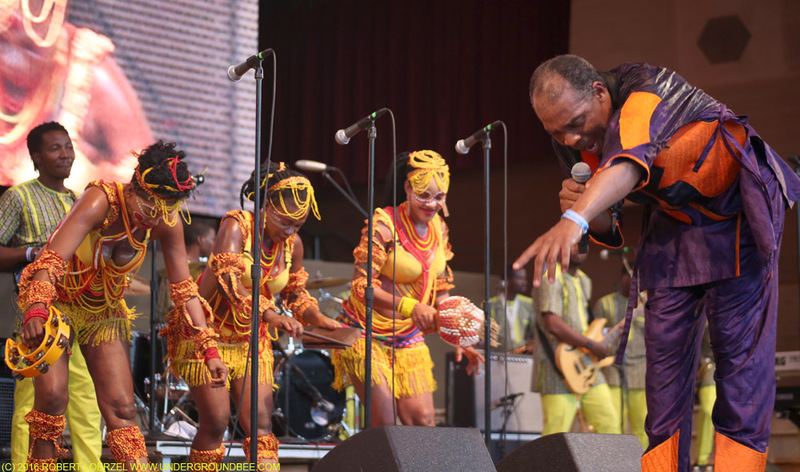 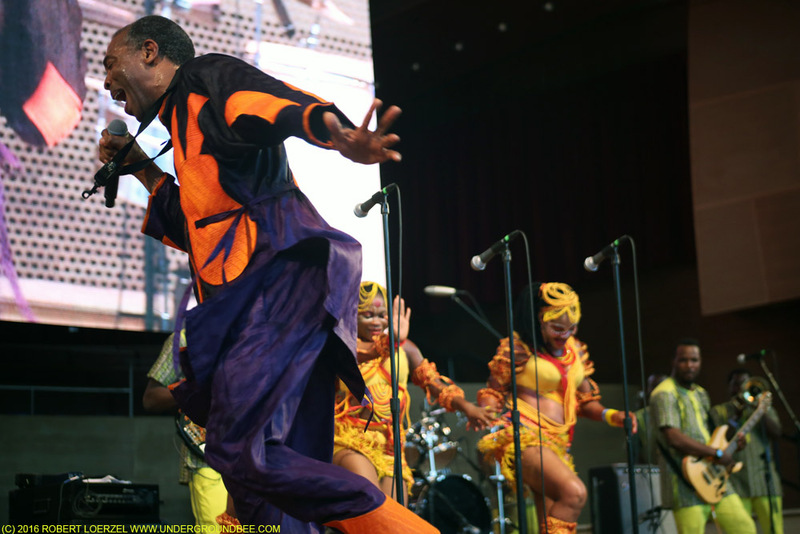 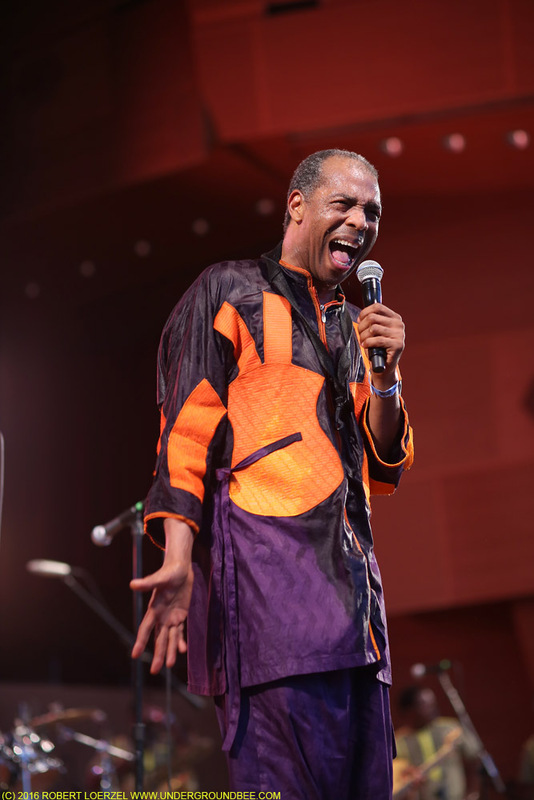 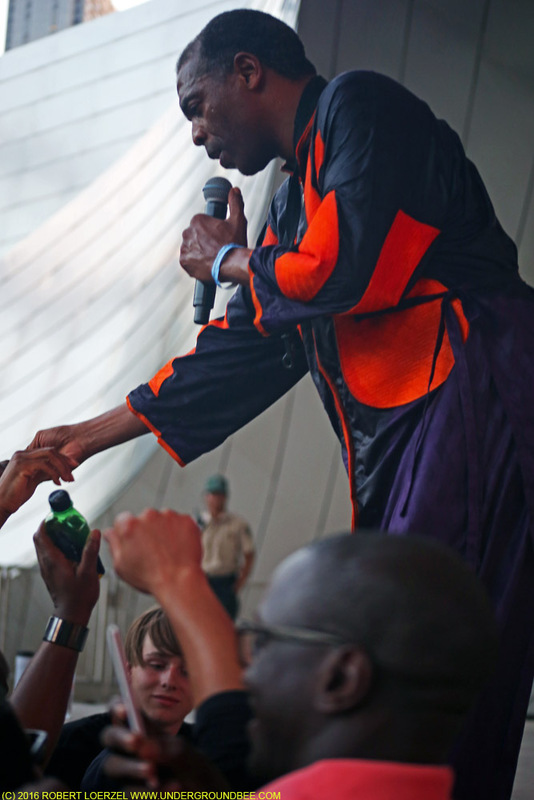 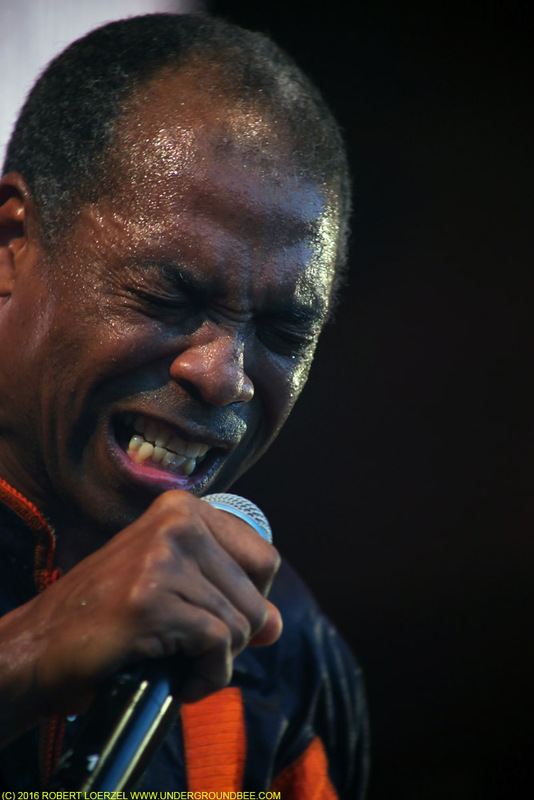 On Monday, July 11, he performed a joyous nonstop jam with his band, The Positive Force, at the Jay Pritzker Pavilion in Millennium Park. 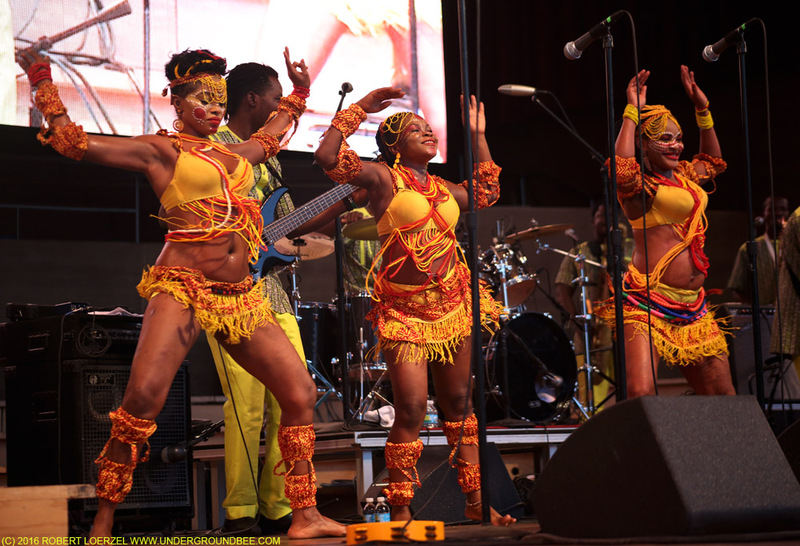 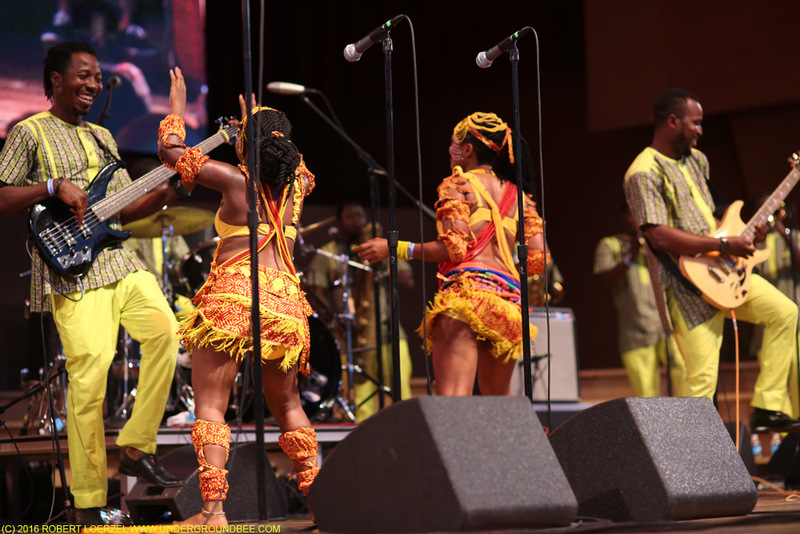 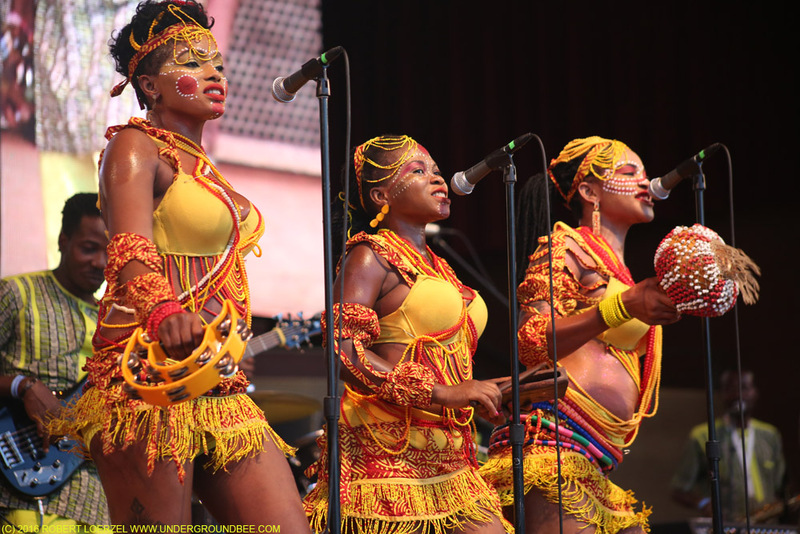 Early in the concert, Kuti told the audience: “By the end of tonight, we hope you feel the beauty of Africa through music, we hope you feel the essence of true peace.” That musical message came through loud and clear.